Recent winners of the Parents’ Choice Award, the Mighty Magic Pants blend music, poetry, motion and fun into an unforgettable and educational experience the whole family will enjoy. 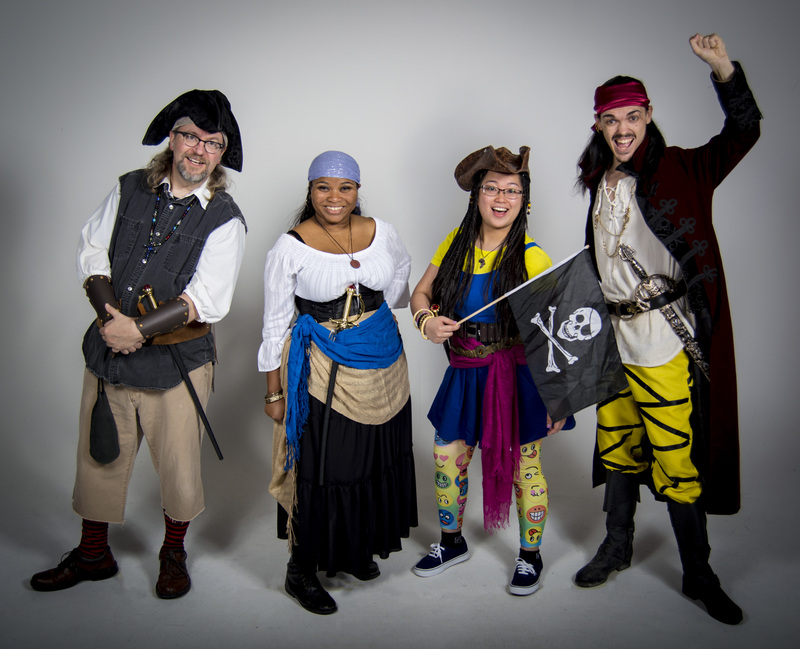 The group brings together Mike Mennard, veteran kindie artist and poet joined by his talented friends—a pirate, a cowboy and a princess, to help kids and families understand the value of poetry, song, history and friendship. The Mighty Magic Pants also offer literacy workshops for students about creating poetry and songs, exploring Nebraska history through song, and the history and legends of pirates. Poetry-to-song—The Mighty Magic Pants work with students to create an original poem, which they put to music and the class performs. Nebraska History—Through poems, stories and songs, the Mighty Magic Pants take fourth grade students through the Nebraska history curriculum. This workshop is based on Mike Mennard’s album "We’ve Got it All in Nebraska." Pirate History and Legends—Were pirates all bad? What was it like to be a pirate on the high seas? Did Blackbeard really set his beard on fire before he fought battles? The Mighty Magic Pants present an overview of the history and legend of pirates in a lighthearted way and shares chants and songs from the time of pirates. This workshop is based on Mike Mennard’s albums "Pirates Do the Darnedest Things" and "It’s a Pirate’s World."